I saw this in a toy store over the holidays. 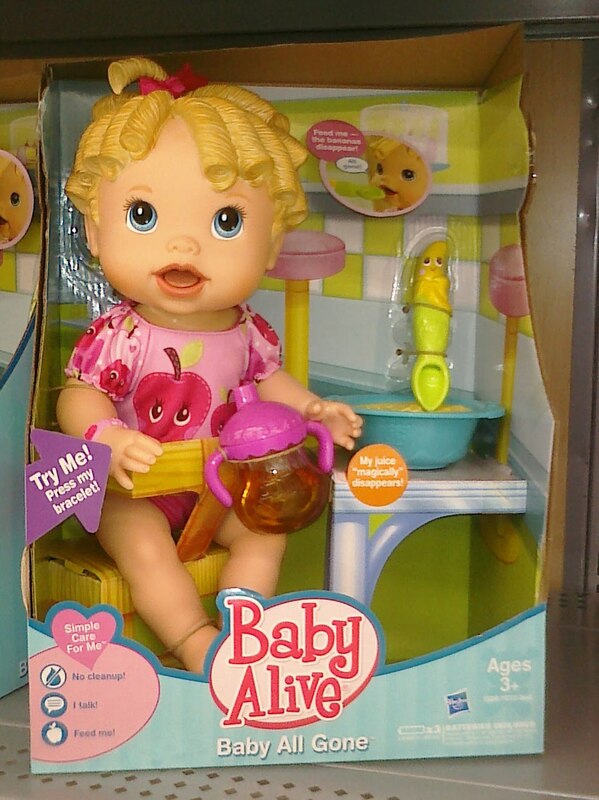 It seems innocent enough, but there's something unsettling about the packaging of this doll. A big part of this is the toy's name, "Baby All Gone." Sounds weirdly suspect, like she's a victim in some abduction. And up close, the face is rather disturbing. The mouth, in particular, gives me pause. Maybe it's just me. Then there are all of the messages on the box. "Try me!" "Feed me!" "Press my bracelet!" "I talk!" Jeez...this is a demanding, high-maintenance mo-fo. I would think all of these imperatives would put off consumers. Who needs something this needy? And then there is the questionable use of quotation marks. 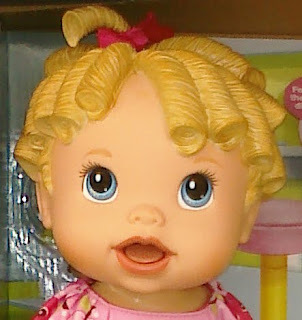 I'd rather my doll be more grammatically savvy. For once the quotation marks are used correctly--assuming an actual magic spell or hex doesn't make the juice literally disappear. In fact, it could only be more correct if it said "My 'juice' 'magically' 'disappears'!" since neither juice, magic, nor actual disappearance plays a part in this particular illusion.